1. 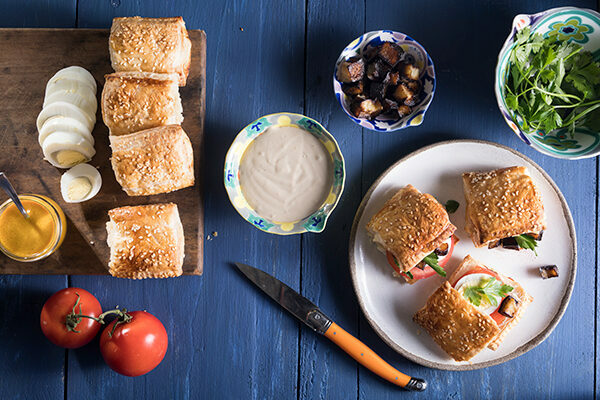 Slice potato bourekas in half to create a pocket or sandwich. 2. Stuff with eggplant, egg, tomato and parsley. 3. Drizzle with tahini and/or amba, if desired.